The first modern cold-rolled sheet production line in South China, the largest production line in Guangdong, and the 1.8 million-ton cold-rolling project jointly built by Guangzhou Iron and Steel Group Co., Ltd. and Japan JFE Steel Co., Ltd. were officially put into operation in Nansha, Guangzhou yesterday morning. According to reports, after the production of 1.8 million tons of cold-rolled sheet production line, the annual output value is expected to exceed 12 billion yuan. After the project is put into production, it means that Guangzhou will say goodbye to the high-end steel plates such as the outer panels of the car, which mainly rely on the import history, and will also rewrite the history of Guangdong without a large modern cold-rolling production line. It is understood that the production line and the 400,000-ton hot-dip galvanized sheet production line that has been put into production will form a large-scale production and high value-added steel sheet base. According to reports, the total investment of 1.8 million tons of cold-rolled sheet project reached 6.751 billion yuan, and China and Japan each accounted for 50%. The project includes the construction of a new 1800 mm pickling-cold rolling combined unit, continuous annealing unit, and hot-dip galvanizing unit. The completed production products include cold-rolled coils and hot-dip galvanized coils, mainly for high value-added products such as interior and exterior panels for small cars and high-end home appliances. 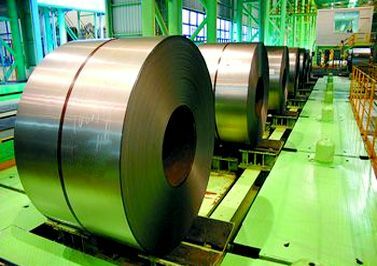 According to experts from the Guangdong Iron and Steel Industry Association, the 1.8 million tons of cold-rolled sheet project will be completed and put into production, which will effectively make up for the huge demand gap in this market. It is also of great significance for the development of the Guangzhou steel industry and the development of the automobile industry. Cold-rolled sheets have been the main shortage of steel products in China at present, and the quantity and quality cannot meet the requirements. Most of the deep processing of raw materials for sheet metal production is insufficient. For cold plate and galvanized sheet with strict product quality requirements, it is mainly dependent on imports. The proportion of imported car panels with the most strict surface quality and strength is higher. The contradiction between supply and demand is very high. Big. Guangdong Province is one of the main consumption areas of China's cold-rolled sheet, and the production capacity of sheet metal is far from meeting market demand, and the gap is particularly serious. The data shows that the Pearl River Delta region is expected to consume more than 10 million tons of steel in 2012. The Guangzhou automotive industry will consume more than 1 million tons of high-quality cold plate and galvanized sheet, and consume 200,000 tons of high-grade car panels. The completion of the cold rolling production line in Nansha not only means that Guangzhou has since bid farewell to the history of high-end car steel plates and high-end home appliances steel plates, but also will rewrite the history of Guangdong's lack of large-scale modern cold rolling production lines. At the same time, in addition to its own gap, Guangdong Province is also adjacent to Hong Kong, Macao, Hainan, Guangxi, etc., with a large market radiation capacity. Therefore, the commissioning of 1.8 million tons of cold-rolled sheet project will fully meet the regional market needs of the Guangdong region and its surrounding areas. â€œThe completion and commissioning of the cold-rolled sheet project marks another step away from the construction of the Nansha Iron and Steel Quality Base.â€ Guanggang Group revealed that Guanggang will establish a Nansha Steel Quality Base through a series of high-end industrial chain projects in Nansha. 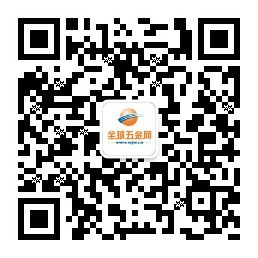 Transforming the production of sheet metal structure products to promote industrial restructuring. Including the 400,000-ton hot-dip galvanized steel sheet production line that has been put into production, the contracted 1.8 million tons of cold-rolled steel sheet production project, the second 400,000-ton hot-dip galvanized sheet production line, and the next hot rolled sheet production line that is expected to be launched. 2.5 million tons of construction steel production lines, etc. According to the relevant person in charge of the Guangzhou Iron and Steel Group, the future product structure of the Guangzhou Iron and Steel Group will be adjusted from the original production concept of long products (construction materials) to the â€œhigh, fine and sharpâ€ product ideas based on sheet metal production. At the same time, Zhugang Group, a subsidiary of Guangzhou Iron and Steel Group, continues to use container plates as its main market and expands the market for high-strength automotive panels. At the same time, it will launch several high-end projects in the industrial chain, including shipbuilding. Oil, fuel and other aspects.